L-Carnosine is two amino acids combined, beta-alanine and histidine. 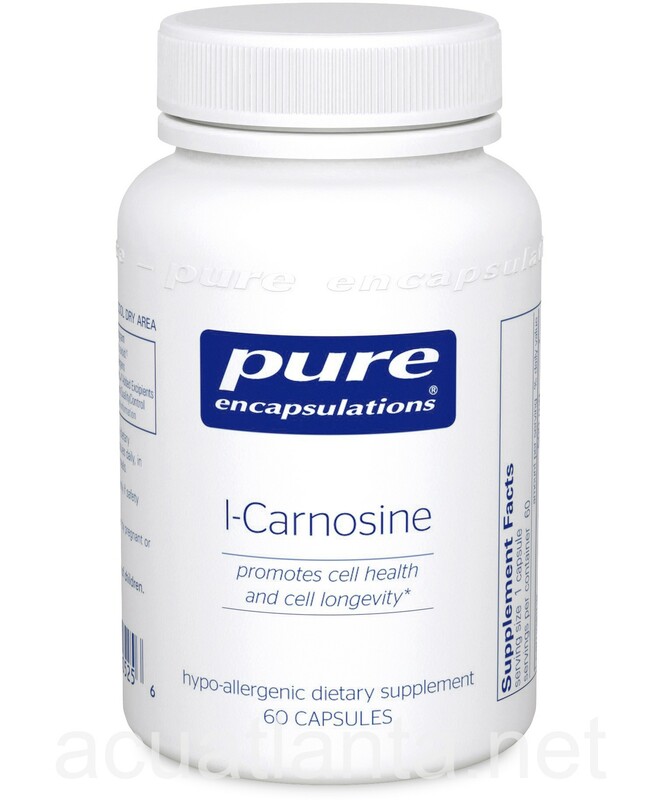 L-carnosine naturally occurs in the body's muscles, and nervous tissue, and as one ages it declines. 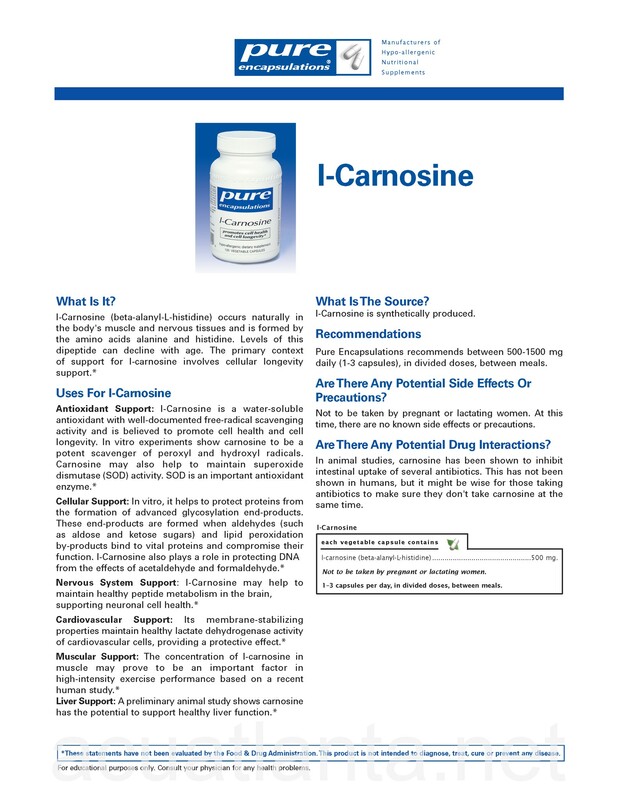 L-carnosine is a potent inhibitor of glycosylation and end-products and uses antioxidant activity to support cell function and cell longevity. These end-products form when aldose and ketose sugars, along with lipid peroxidation by-products bind to vital proteins, compromising their functions. L-carnosine is a water-soluble antioxidant with free-radical activity.